All SUNNY SLOPES homes currently listed for sale in Park City as of 04/19/2019 are shown below. You can change the search criteria at any time by pressing the 'Change Search' button below. 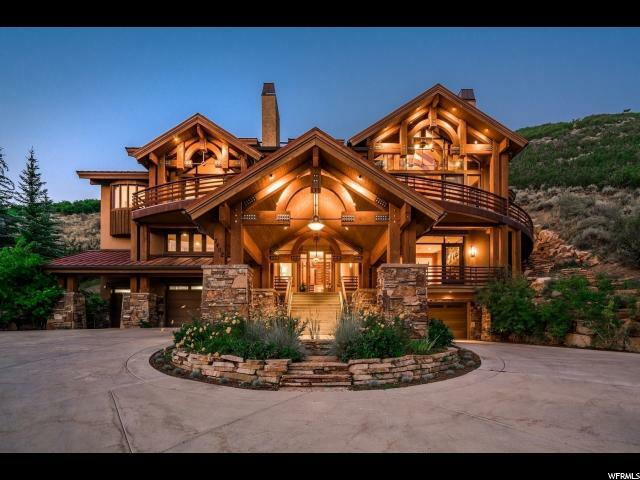 "This artfully designed and beautiful home is centrally located, adjacent to open space and the iconic PC hill, with breathtaking views of the golf course, ski runs and the lake. Enjoy convenient main level living/dining/kitchen, expansive covered deck and private terraced areas, a variety of outdoor patios, wide plank wood floors, soaring ceilings, impressive stone fireplace & gourmet kitchen with a spacious yet open, chef prep area. The master suite is a sanctuary, each of the additional 4 bedrooms are en suite and provide privacy for guests. There is also a large lower family/game room, theatre room, art studio, impressive library, wine room, elevator, & over 2200 sq ft of garage/workshop space."